You’ve heard all the buzz about injectable wrinkle fillers and you’re interested. You might be even more interested if you thought treatment would be quick and long lasting. But you’ve discovered most injectables last just a few months, and with your time at a premium you’re reluctant to lock yourself into a long term commitment. So you wait. You don’t need to wait any longer. For busy residents of Fort Lauderdale there’s a facial rejuvenation option that fits the schedule: Artefill®. Take the next step: call us at (954) 565-7575 or toll-free at (800) 274-LIPO today to schedule your appointment at the South Florida Center for Cosmetic Surgery, a top medical spa in Ft. Lauderdale*. Designed to treat the smile lines we all get around our mouths as we age, Artefill is a solution containing polymethylmethacrylate (PMMA) microspheres, purified bovine collagen, and a small amount of anesthetic (lidocaine). The combination enables the product to adhere to your body’s own collagen, teaming with it to form firmer foundation tissues underneath your skin. Once wrinkled or even scarred, your surface skin lies flat and smooth again*. We’ll need less than an hour of your time for facial rejuvenation in Fort Lauderdale offices. Artefill is injected following a light anesthetic, and your doctor or skin care specialist will mold the product with their fingertips to distribute it properly under the skin. Since the effects of the filler are instantaneous, you’ll be able to fine tune your results immediately. Not only are you very likely to be satisfied with your facial rejuvenation in just one treatment, you’ll find Artefill lasts for years*(see disclaimer). Unlike the ingredients in other fillers, the PMMA microspheres are not absorbed by the body. Therefore the treatment is cost-effective and easy on your schedule. And Artefill is FDA-approved for the treatment of smile lines. 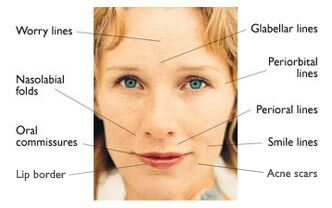 You’ll need a simple skin test prior to your treatment to ensure you’re not allergic to collagen or lidocaine. The majority of clients have no trouble with the injections; a few report minor bruising and swelling that dissipates in a few hours or, at most, a couple of days. Most people return to their regular activities immediately following treatment, looking fresher and younger*. Below you will find a list of frequent questions about Artefill® injections that our Fort Lauderdale patients have asked during their consultations. If you cannot find the answer you are looking for, please contact us and be sure to include the treatment name and your question! Artefill is a wrinkle filler that provides our patients long-lasting correction of wrinkles, lines and folds*. It consists of a combination of microsphere-enhanced collagen and lidocaine for comfort*. The collagen gel that contains the microspheres in Artefill is gradually absorbed by the body, leaving behind the microspheres for lasting support beneath the skin. Temporary dermal fillers like Juvéderm; and Restylane are made synthetic fill materials that are completely absorbed by the body over time. Wrinkle correction for these products typically lasts about 3 to 9 months for our patients*. Because of the microspheres contained within Artefill, this product provides much longer lasting structural support to keep your wrinkle from returning. You will see results as soon as your treatment is complete*. Full wrinkle correction is usually maintained for up to 1 year before the results begin to diminish*. In most cases, only one treatment is needed for extended wrinkle correction*, but you may want to have a second treatment, depending on the depth of your wrinkles and folds. You can decide together with your doctor at your follow-up appointment if another treatment would be beneficial. With proper placement, Artefill may not be felt after treatment*. You will able to return to your normal daily activities right away. In clinical studies, patients injected with microsphere-enhanced collagen still reflect a natural appearance in the area treated 5 years after their initial treatment*. These patients were surveyed and had a 90% satisfaction rating related to their wrinkle correction and experience with Artefill*. Like other injectable fillers, Artefill treatment can be combined with a facelift, eyelid lift or other surgical procedure for more extensive improvement. But if the combination of instant rejuvenation, long-lasting results, and no downtime sounds compelling to you, come in and find out more about Artefill today.